Do you have a basketball fan in your house? I have a few basketball fans (including my husband!) We actually just put in a patio in our backyard and we put a basketball hoop on the edge of it so that not only can it be used for relaxing on our patio furniture, but we can also play some basketball too! 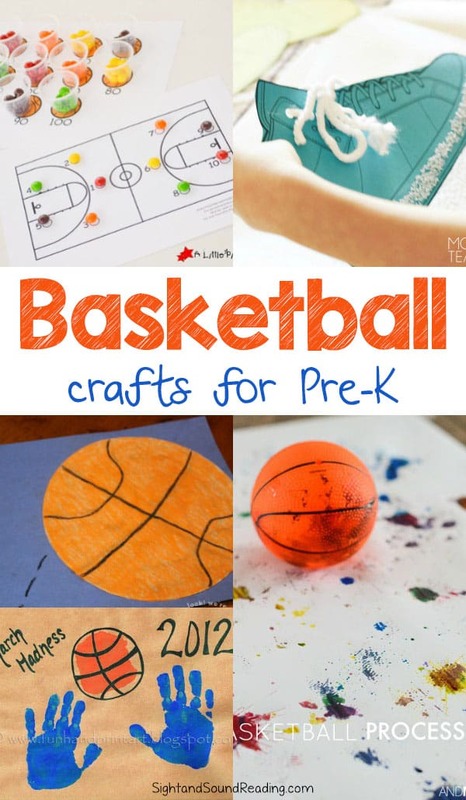 Today I would like to share some ideas of basketball crafts for Preschoolers. I love to display creative crafts around my home! Before we begin, here are some of my favorite basketball books! Have fun with the preschoolers making the crafts! 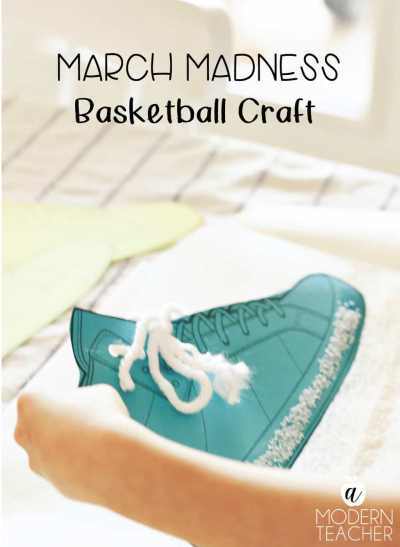 March Madness Basketball Craft from Crafting Chicks has a simple and cool basketball craft. You can help them print out the template they will cut. Then, kids can practice their motor by sewing thread yarn in the hole punched template before they sprinkle some kosher salt on the glued bottom edge of the shoe. Super Hoops Craft from Crayola has a fun activity to sculp perfect players using Crayola® Model Magic® and chenille sticks. Yes, you can design your basketball dream players. Tissue Paper Basketball Craft from Free Kids Craft is very simple because we only need a set of templates, construction paper, and tissues to crumple in small size to cover the template by sticking with glue. DIY Basketball Washer Necklace from More Than a Homeschool Mom is very simple and low cost. Boys will certainly love it. 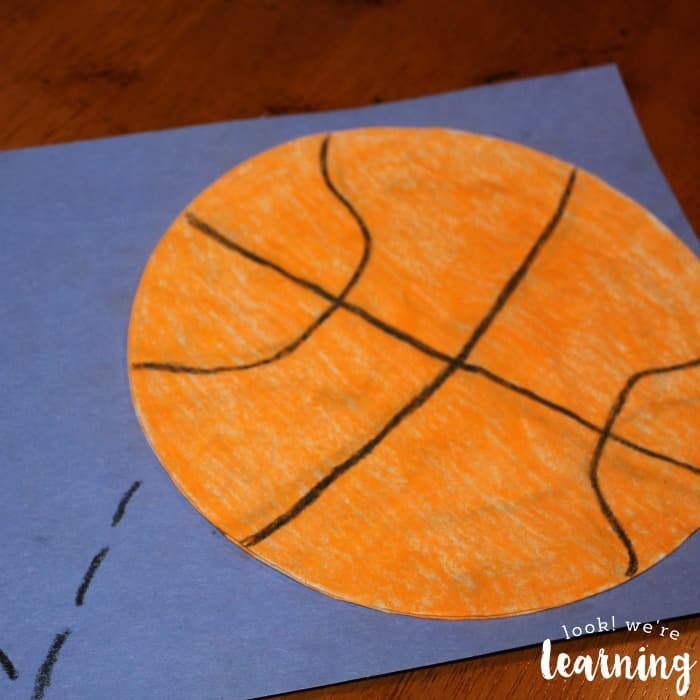 Coffee Filter Basketball Craft from Look We’re Learning is really for coffe lover parents that can use the coffee filter to make a basketball craft like the image below. Looking for other basketball crafts for preschoolers? March Madness Basketball Treats from That’s What Che Said is not really a whole process of craft. First of all, it needs some pretzels and orange candy melts. The candy is put on top of the pretzel and at the bottom of it and bake. The treat is decorate with foot safe writer draw to make it look like basketballs. Having your own basketball field must be wonderful, but the small version of it will be great as well. If you would like to build the mini basketball field on the tabletop, DIY Tabletop Basketball from Stuffed Suitcase is really helpful. 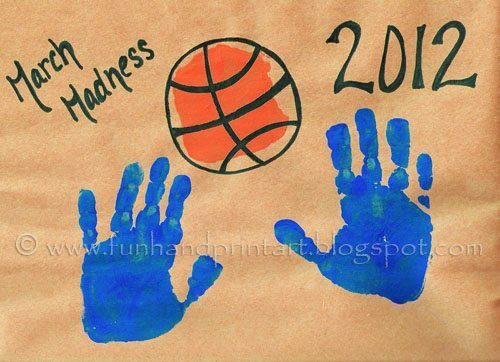 Handprint Basketball from Fun Hand Print Art is very suitable for your small people. Using their palms, they will print their hands on the construction paper. They will also make the basketball with their palm. Then, you will just help them to write on it. Here is another basketball crafts for preschoolers. With some orang paint, a template of basketball lineart, and a Q tip, you can make Q-Tip Paining Basketballs from Dolen Diaries Kids need to cover the template by dotting away the paint with Q tip. Paper Plate Basketball Craft from That Bald Chick is very simple to make and it will look great to display as well. Paper plate is a very useful material to make various craft works, including this one. 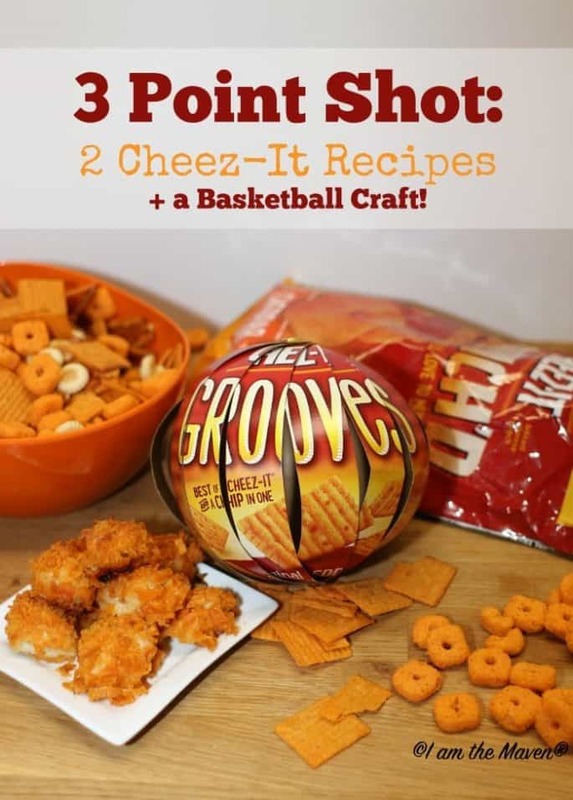 3 Point Shot: 2 Cheez-it Recipes from Basketball Craft – I am the Maven combine craft and food . Kids can do some craft from the box of Cheez-It after they eat the food. Awesome! DIY Baskeball Center Piece from Fun Happy Home uses a real basketball which is cut to make a whole. Next we can use the whole to place things and to display it. What a very creative work. DIY Baskeball Door Hanger from The Eyes Of a Boy is a monogram made out of wood letters decorated like a basketball. They idea is very simple, but it is perfect for basketball fans. 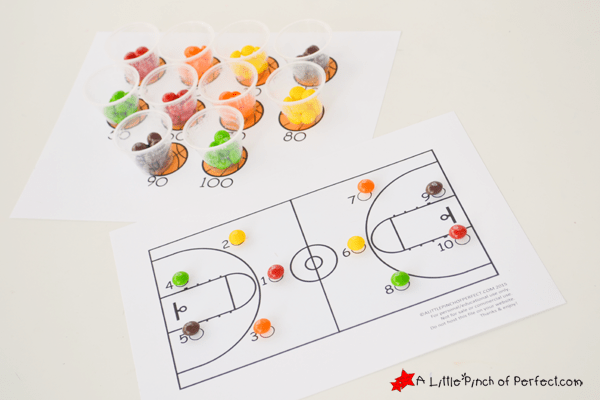 Keeping Score with Skittles: Counting to 100 Basketball Printable from A Little Pinch of Perfect looks very fun. Kids will use it as they watch the basketball games. They can use the Skittles to count the score of the games and they will compete to get the 100 scores first before they clean up. Fathers Day Basketball from Sweet Stitches is great for the little people to give basketball in the father’s day as a gift. They just need to do a palm printing on the basketball and some writing to give to fathers.